Designed for total peace of mind. With CANARY view, you’ll never feel far from home. See and hear what’s happening day or night in high definition. In an emergency, contact your home’s local authorities right from the CANARY app. Setup is simple - no installation, hubs, or hassles. 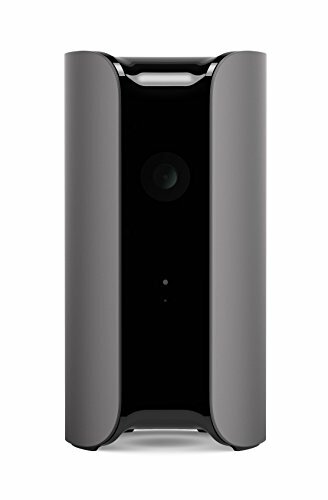 1080P HD video camera with 147 Degree wide-angle lens, automatic night vision, and motion detection. Requirements include: broadband internet connection via Wi-Fi, iPhone or Android device, minimum 1Mbps upload speed per device. *COUNTERFEIT WARNING: Purchase Only when it says ''Sold and Shipped by Amazon.com'' Amazon is the Only Authorized Reseller of Canary Products on Amazon.com. Canary offers no warranty for purchases from any other seller. If you have any questions about this product by Canary, contact us by completing and submitting the form below. If you are looking for a specif part number, please include it with your message.